I finally have pics for you guys - had to burn them on a CD and take the CD with me to an Internet cafe. There are lots of them so I'm going to split them in two entries. 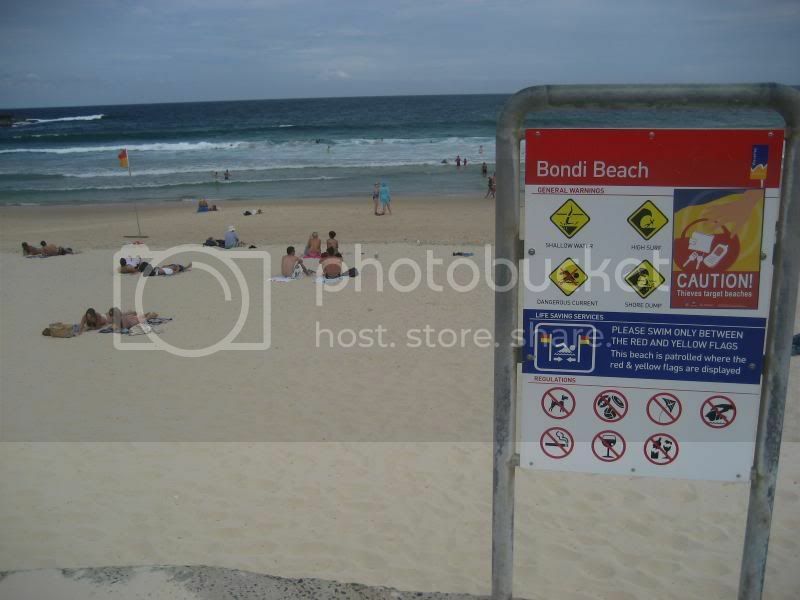 This one has some general Sydney pics and beach pictures. 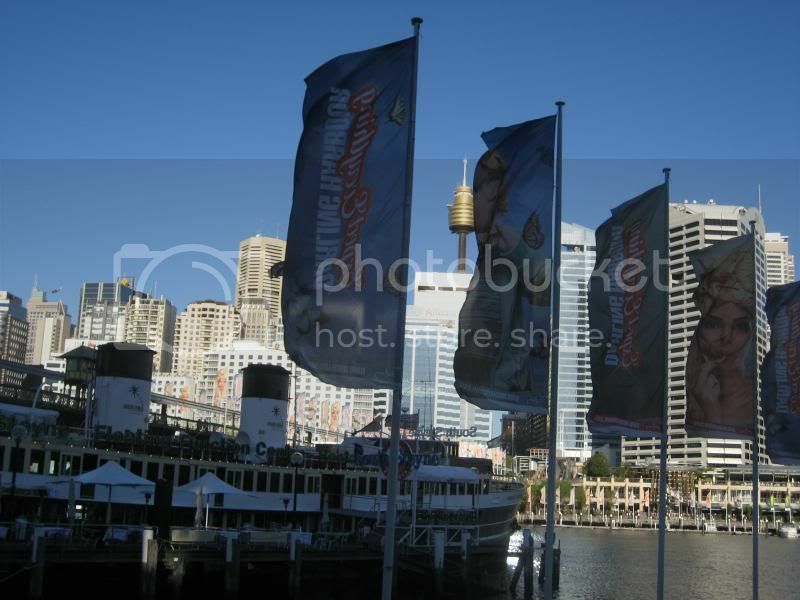 The other one (whenever I manage to post it) will have pics from Taronga Zoo and some from the Sydney Aquarium. It's gorgeous out today - blue cloudless skies and almost 26 degrees Celsius. Very nice. I took the day to myself as the Norwegian girls went to the beach and I've kind of had enough of it already for now. 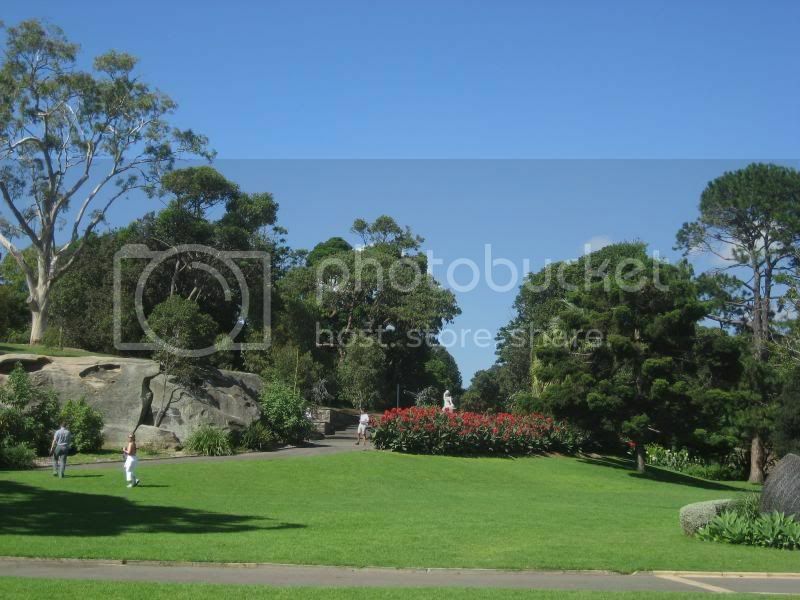 I'll probably explore the Botanical Gardens a little more and stuff like that. We'll see. 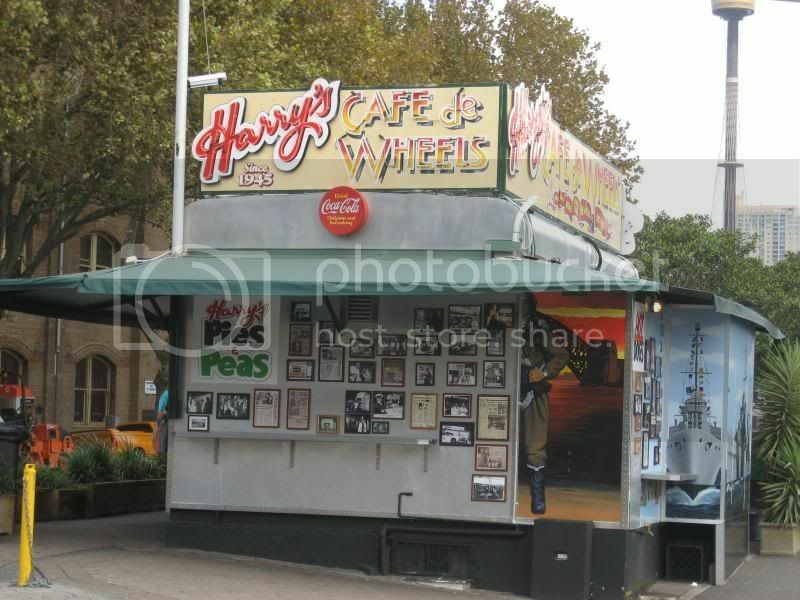 The famous Harry's Cafe de Wheels, where the walls are papered with pics of celebs who have dined there. 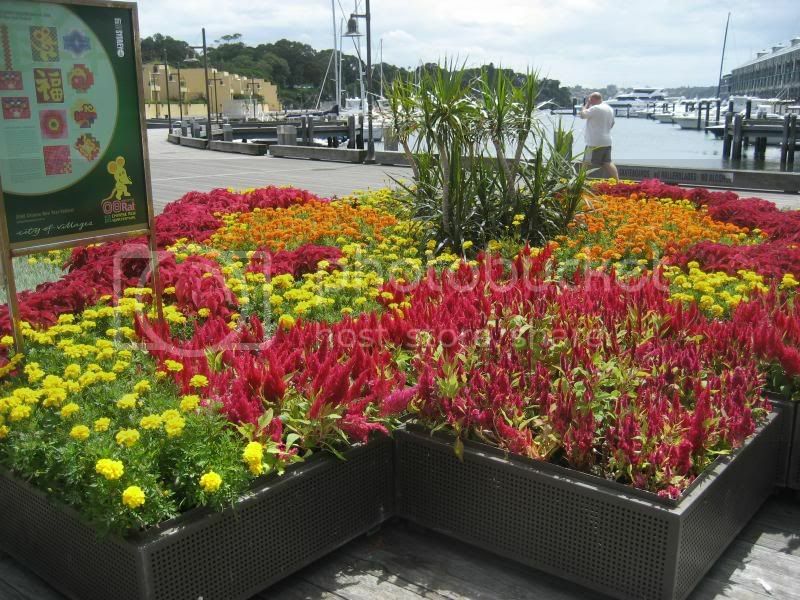 Pretty flowers at a nearby harbour - I believe it's Woolloomooloo. That is such a funny word. 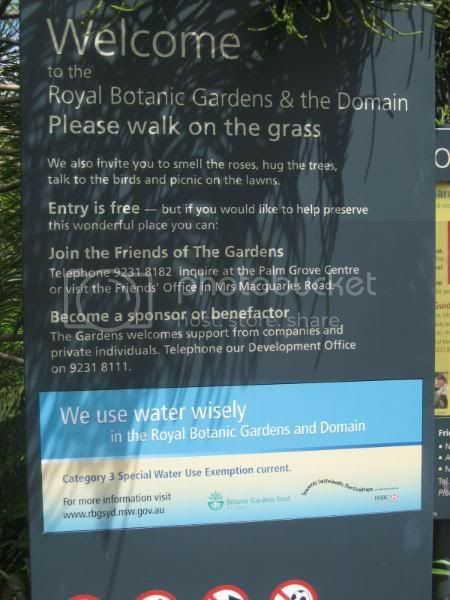 Entry to the Royal Botanical Gardens. 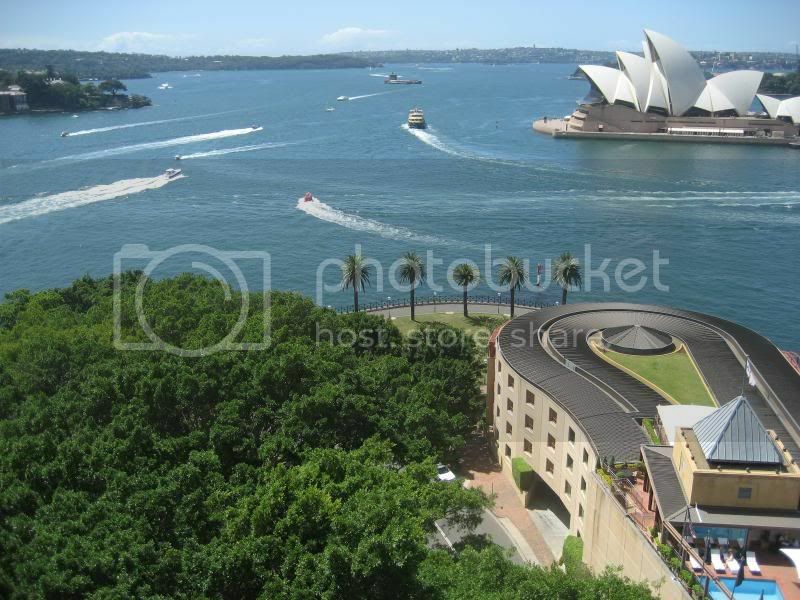 A view from the Sydney Harbour Bridge. 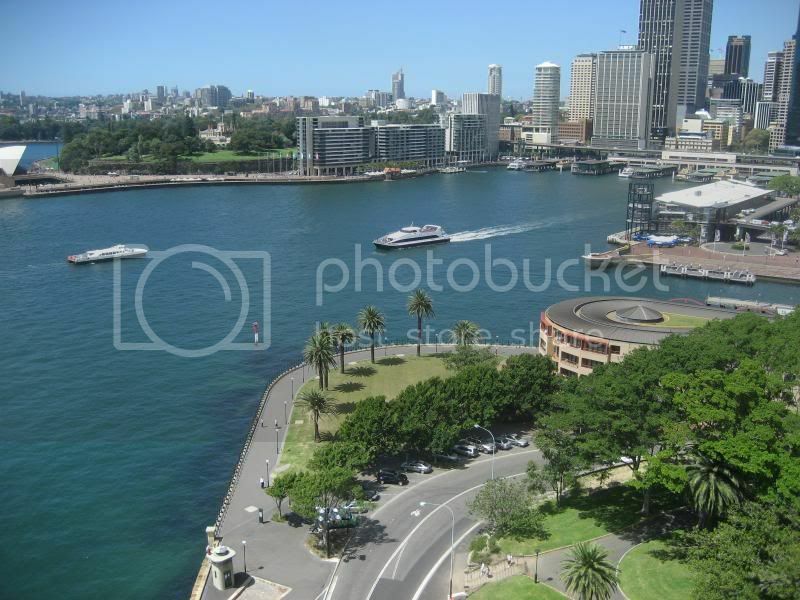 Another view towards Circular Quay. 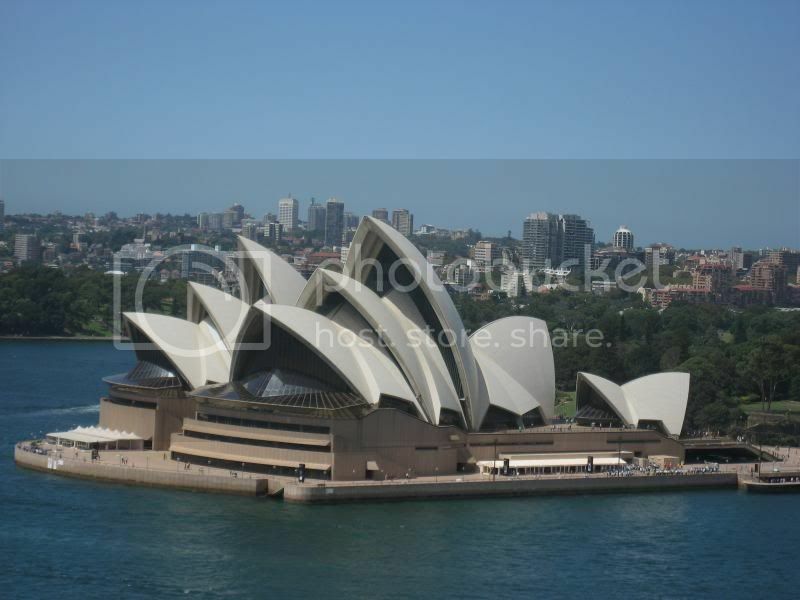 The Opera House from the bridge. 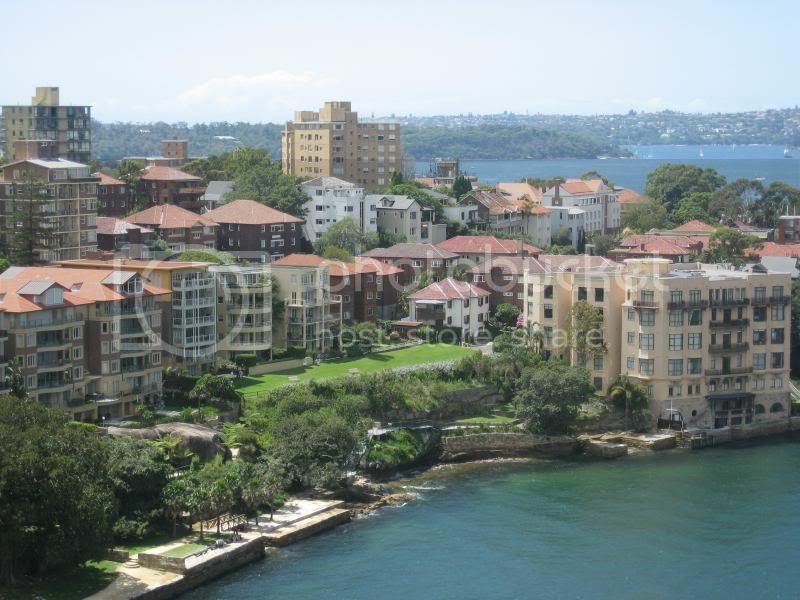 North Sydney. I reckon that would be a nice place to live, at least view-vise. 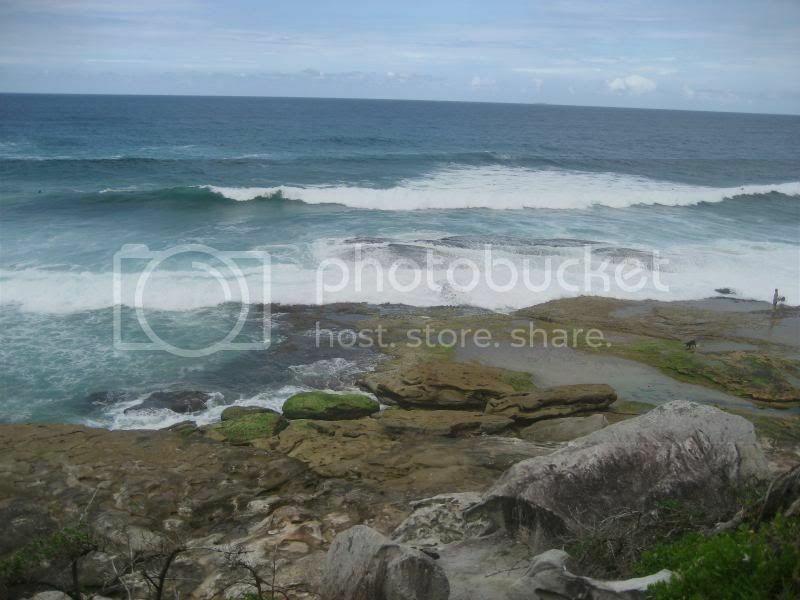 Beaches along the scenic walk. 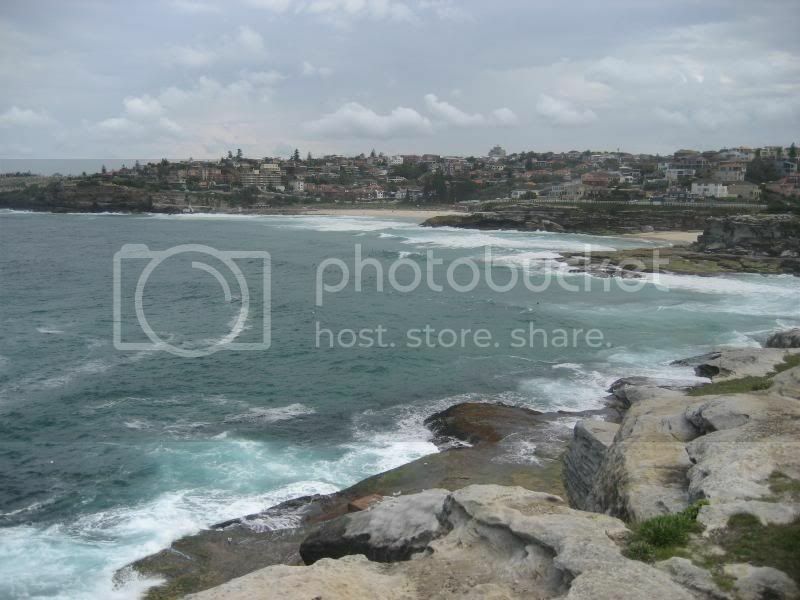 These are Tamarama and Bronte. 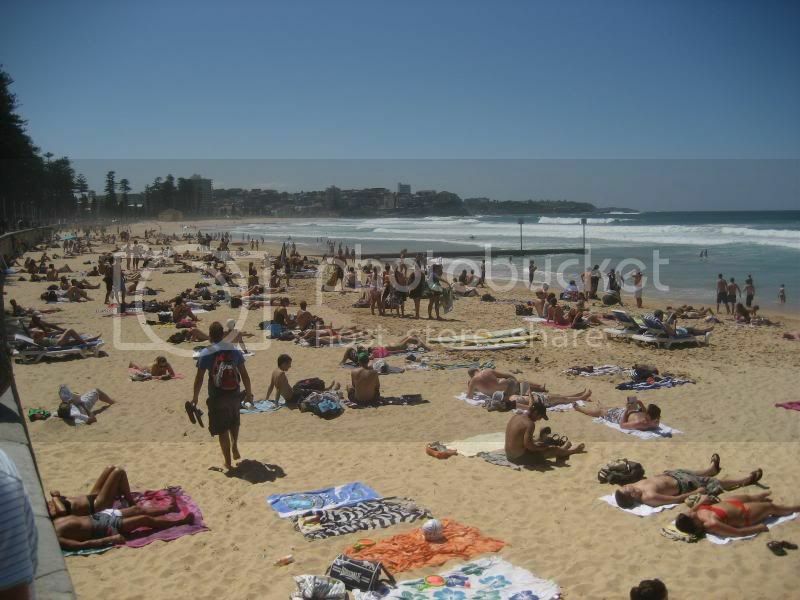 Manly Beach. 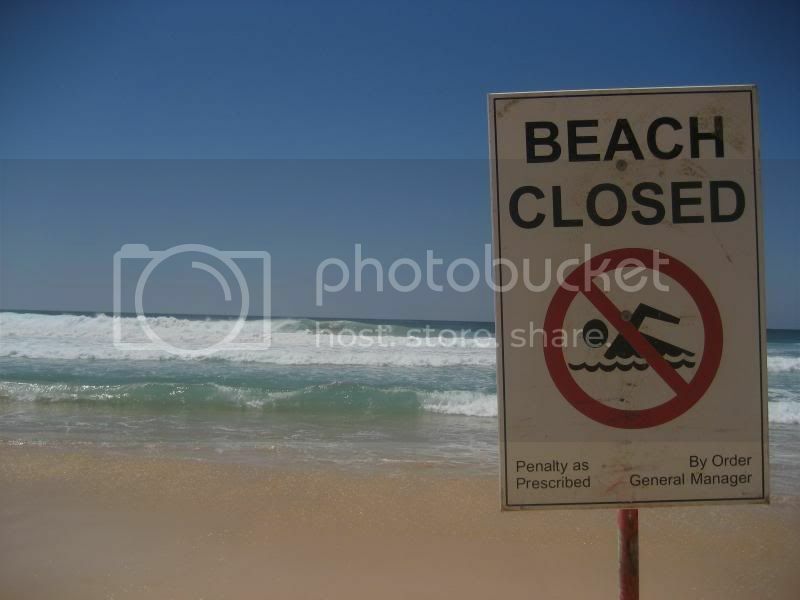 No swimming there yesterday - the waves were massive. SO pretty! 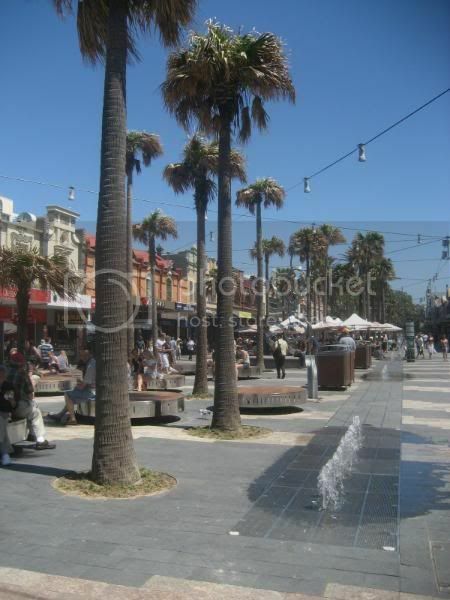 Why all the Aussies in our LJ want to leave that place, I have no idea! Because Australia is boring lol. Pretty, sure, but boring unless you're at the football. That's the only time I'm usually extremely happy to be in Australia lol. Everything else is boring ;) You'll see when you live somewhere else for awhile. Heh, I don't know...I guess you get used to the pretty after a while and want to see new places. I mean, everyone's saying Finland is really pretty (well, at least in the summer) but I couldn't wait to get out of there. 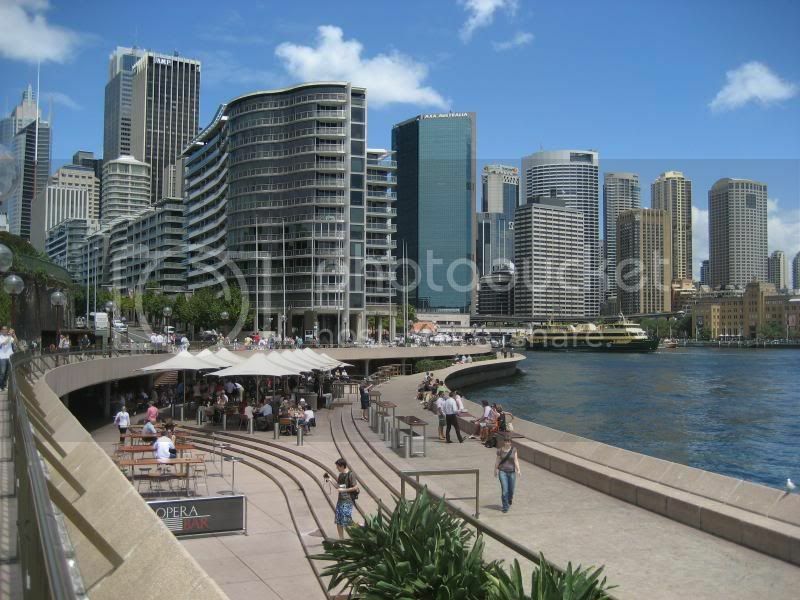 LOL, in that case my mission is accomplished:) It's always good when people want to visit places because of my pics. 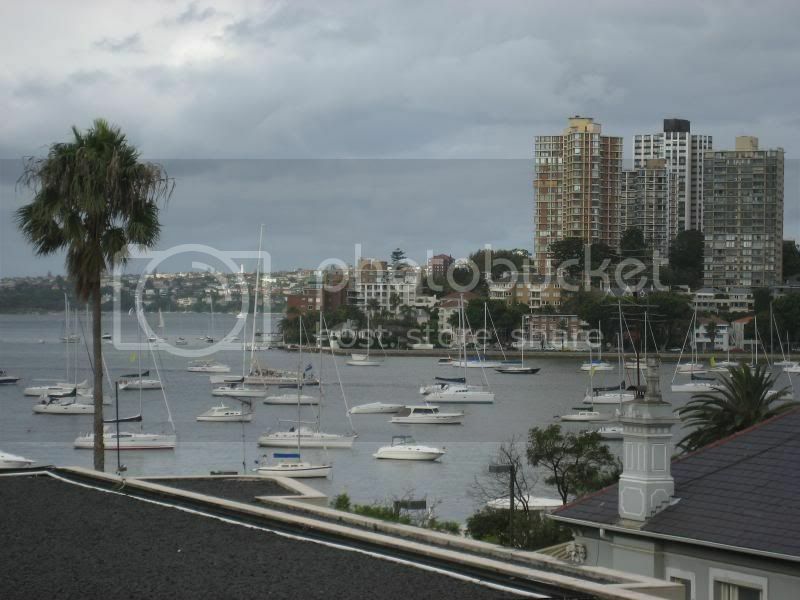 I like Manly it's pretty. My family friends have apartments there and they're both so nice!! 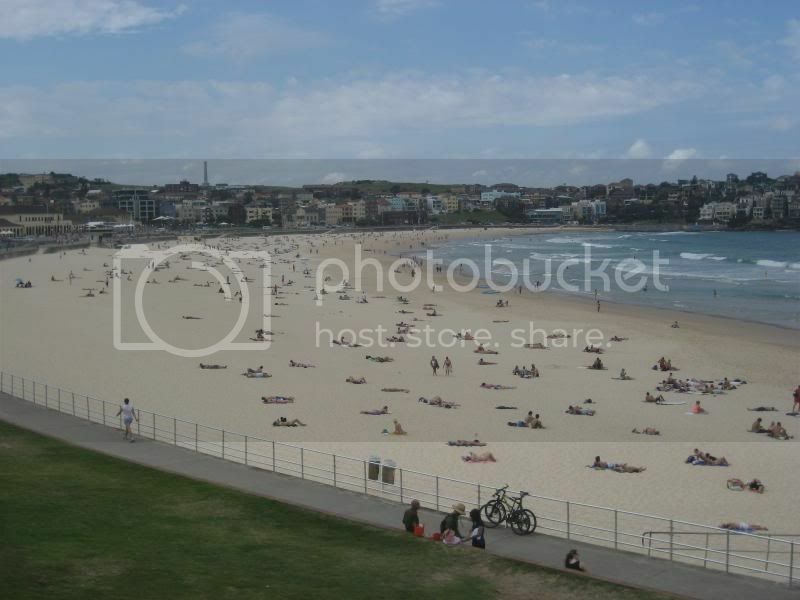 Manly is really nice and I loved the ferry ride. 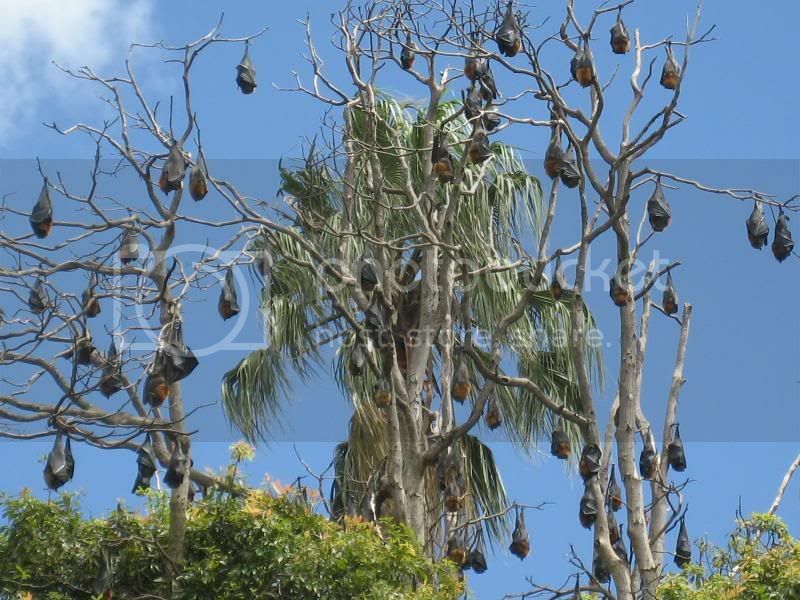 The pic of the flying foxes are way awesome. Heh, they're so funny - and there's like thousands of them, just hanging. The gardens are so beautiful! 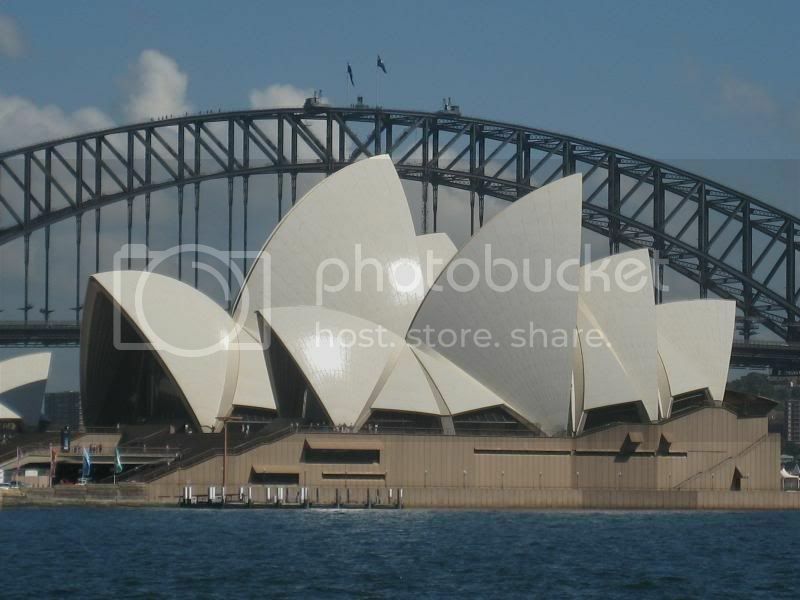 And god, I want to see Sydney one day. They are very nice. 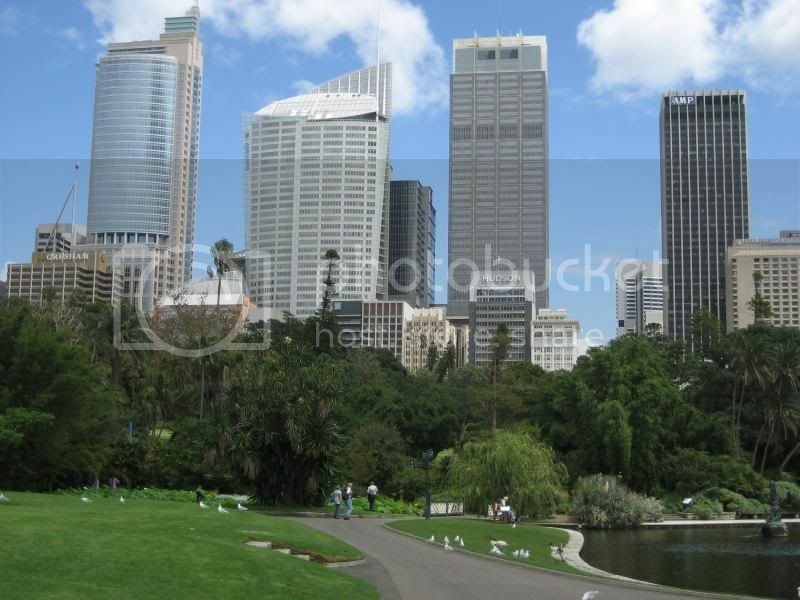 You should see Sydney - in a way it's just a city like any other but it's pretty and the weather is nice. Thank you! *hugs* I really love just wandering around the gardens. They even have T-shirts here that say "17 000 kilometres away" or something like that. I'm going to have to get me one of those. Oh, the jellyfish...I think I saw some of them on Bondi. Really wouldn't want to come into contact with one of those. lol! 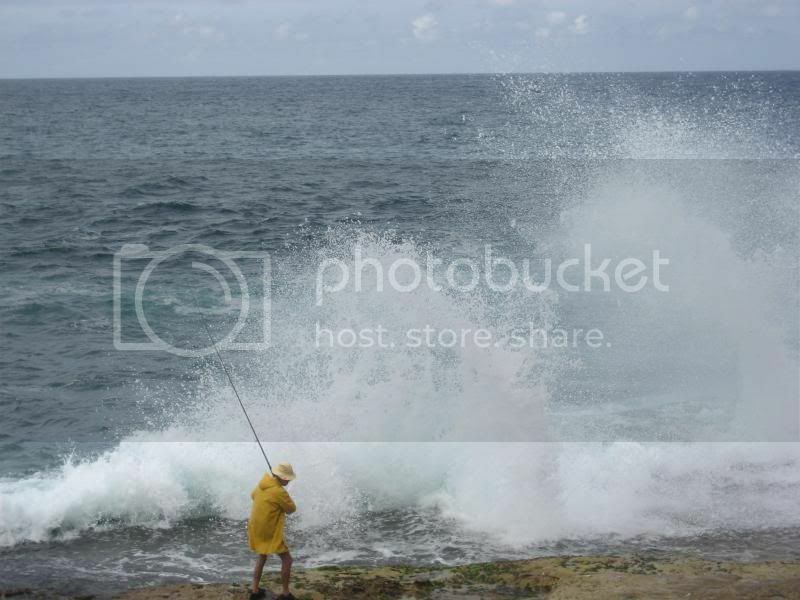 The fisherman pic is so hilarious. lol! They're beautiful pics of very beautiful places. 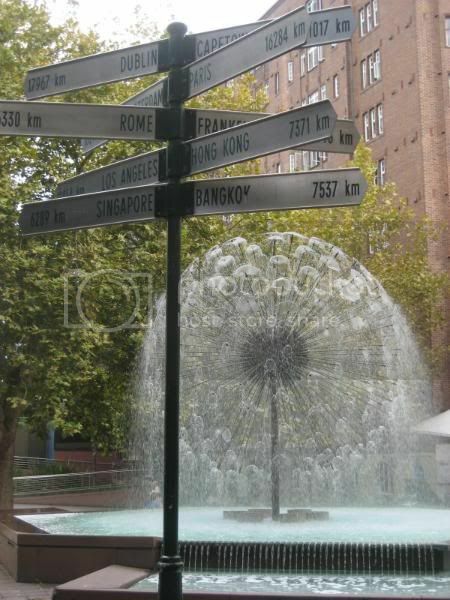 :) Again... need to visit... somewhere. I wonder if he was maybe paid to stand there and pull these crazy stunts...it looked cool though.